A senior Labour MP has raised the prospect of trying to seize Sir Philip Green’s yacht in the long-running row over the black hole in the BHS pension fund. 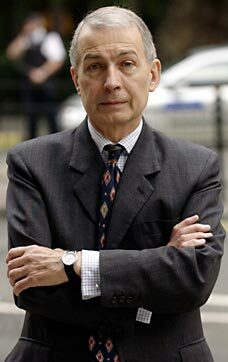 Frank Field asked the pensions regulator if she could demand “assets other than cash” as he kept up the pressure on the billionaire retailer over the pension deficit, which has been estimated at £571m. The chair of the work and pensions select committee wrote to Lesley Titcomb this week with a series of questions, the most of eye-catching of which was: “Whether the regulator can settle a contribution notice or financial support direction through acquiring assets other than cash from a person or company from which payment is being sought”. Green previously told MPs he would “sort” the pension fund deficit but earlier this month the regulator began enforcement proceedings against him and Dominic Chappell, the retail novice to whom he sold BHS for £1 last year. The chain later collapsed and left 11,000 people without jobs and 20,000 with reduced pensions. It is believed that Green has offered around £300m to plug the hole in the BHS pension fund, well short of what is thought to be owed. Last month MPs from across the Commons agreed a demand to recommend Green be stripped of his knighthood. The motion was not binding, however. The retailer later told ITV he was “sad and very sorry” for the hardship caused by the collapse of BHS after he sold it and said he was in a “very strong dialogue” with the regulator about how to find a solution.